Time marches on stopping for no one and...I like research more than ever. Love of terrain suggested that I dally about in my writing with using real places. So my books are all placed in real locations. The first two books River and Ranch and New Grass Growing, are Idaho books along with some Montana, some road trip and a little bit of Midwest. Mostly it is Idaho because that is where I spent the most time as a river guide back in the day. 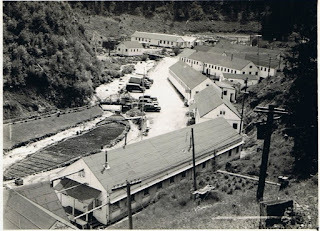 Somehow (this is the first serendipity part) I came across the fact that one of the side creeks to the Lochsa river was the site of an internment camp during WWII, for Japanese residents of the US. There were about 20 of these camps spread around the country to house the 120,000 AMERICAN citizens of Japanese descent during WWII. A dark blemish on WWII history. fwiw, the men who lived in this camp on the side creek of the Lochsa, were the primary road builders of the stretch of Highway 12 running up to Lolo Pass, through the many long uphill miles of the narrow Lochsa canyon. Sometime later I was again on my way to something and enjoying the pleasant process of discovering other things along the way (is this not the definition of serendipity?) when I found that George Takei, as a child, had been a resident of one of these US internment camps during WWII. While I'm not a particularly big Star Trek fan, I have watched them and recognized Takei, mainly because he possesses one of the most fabulous deep voices in the history of acting. In the world of writing styles, there's an authorly discussion regarding how one writes. Inquiring minds bring up the question of an author being a 'plotter' or a 'pantser', as in seat of the pants. I identify most with being a 'pantser', because this luck of serendipity showing me all these random and fascinating gems hidden away in our culture, keeps my plots veering off in unexpected directions as I stumble across topics that are simply too good to pass up.